A couple escaping the opulent lifestyle of Manhattan's Upper East Side move to Newport, Rhode Island, only to be confronted by the trappings of the life they tried to leave behind. Nate, a midlevel Wall Streeter, and his longtime girlfriend Emily are effectively evicted from New York City when they find they can no longer afford their apartment. An out presents itself in the form of a job offer for Nate in Newport complete with a bucolic, small, and comparatively affordable new house. Eager to start fresh, they flee city life with their worldly goods packed tightly in their Jeep Cherokee. Yet within minutes of arriving in Rhode Island, their car and belongings are stolen, and they're left with nothing but the keys to an empty house and their bawling 10-month-old son. 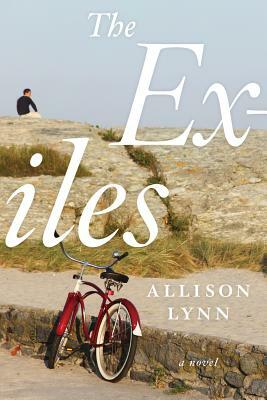 A story about losing it all, the complexities of family histories, tainted gene pools, art theft, architecture, and the mad grab for the American Dream, "The Exiles" bravely explores the weight of our pasts and whether or not it's truly possible to start over.